Can we be sure that the Treasurer is responsible for his actions ? His recent “Descent Into Madness” meltdowns in the media have the look of someone setting themselves up to cop an insanity plea. 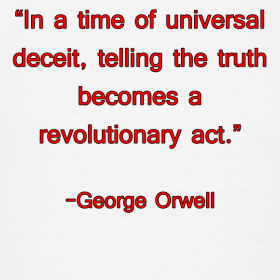 Unfortunately government deceit is now rampant, at least in most governments of the former “Free West” nations. Those noble goals were apparently behind decades of government deceit during my career (1960-present) that finally culminated in the release of Climategate emails and documents in November 2009. NSW Land Tax:(for one specific individual) UP 17.3%, Council Rates: UP 12.1%, Housing Insurance: UP 8.6%, and horror-of-horrors, my football rego fees:UP 10.71% . 3.1% CPI- my arse!! And WE pay these dorks (ABBS-Aust.Bureau of BS) to lie to us!! Don’t speak to the media or talk about this fraud. You will be taken to Court for speaking the truth. For goodness sake, wake up Australians. It is getting too late – the government must get out soon for the sake of the future of Australia and Australians. Surely there are some ALP members who can see through this fraud but perhaps they are too stupid or haven’t the guts to get up and go. Since it states in MYEFO it was ABS who adopted the new System of National Accounts I have to ask, how much control does the Government have over ABS methodology? The head of the ABS, the “Australian Statistician”, is a public servant with the status of “Permanent Head”, and is directly answerable to … surprise surprise, the Treasurer. Draw your own conclusions. The information paper written in september 2007 by the ABS, actually shows where there have been manipulations by the government in how the GDP figures are different. This also shows where the 4.15% increase in the 2007-8 GDP current prices actually came from: R&D investment (about 1.5%) and captial used by non profits (2-3%). So that shows that there was influence by the government, but that wouldn’t have a material impact on growth rates. The paper referenced does not assist in explaining why the government failed to draw public attention to the changes at the time of the release of MYEFO, instead preferring to mention a “substantial increase” to GDP only in the fine print of MYEFO. It cannot explain why the government chose not to detail the actual magnitude of the change in the MYEFO, but rather in a single sentence in a press release one month after the MYEFO, and buried in the news frenzy on the opening day of the Copenhagen Conference. Nor can it explain why that (belated and buried) press release concedes the actual magnitude of the change for one year only (2007-08) … the magnitude of the adjustment for the critical (viz possible “technical recession”) 2008-09 year is not given. Even if one were to cautiously accept the paper’s position, that a base level adjustment/increase in GDP (ie, across the entire historical series) will not materially affect growth rates (ie, quarter on quarter), it is important to note that we are not informed in the Treasurer’s press release (or elsewhere?) that the amount of increase has been uniformly applied across all years. If a revision of (eg) 3% is made to one year, and a 4% adjustment made to the subsequent year, then the net effect of the two non-uniform adjustments will be to show an artificial increase in YoY GDP growth in the second year versus the first. By my calculations the government adjusted historical GDP upwards by (eg) 2.75% for 2001-02, 3.52% for 2002-03, 2.89% for 2003-04, 2.56% for 2004-05, 3.46% for 2005-06, and 4.49% for 2006-07. The fact that we are only informed (belatedly, on a huge international news day) of the magnitude of the change for one year (2007-08), and not for 2008-09, must prompt the question of whether the (unknown, unstated) amount of “adjustment” for 2008-09 may have continued the rising trend indicated by the adjustments to the immediately preceding years 2004-07. Finally, it’s worth noting that while this paper gives us some very approximate indications of what the ABS intended to do back in September 2007, it does not help us to know what they actually did do regarding the magnitude of the impact on the GDP number for the key year of 2008-09, in which, if we believe the government, we narrowly escaped a “technical recession” due to their “decisive” stimulus. Well if you want to check the before and after revision GDP figures correctly, go to the original source documents. The system of national accounts at the ABS has the complete range of figures. You can find spreadsheets with the complete GDP figures under downloads. Table one is good becuase it has the complete range of GDP figures. If you just compare the numbers you can see how the change has happened. I don’t know what you were doing on the 28th of October 2009 but the ABS website had this information avialable right then, when it was relevant, when the actual changes were made and when the media would have actually looked at the GDP figures. Hoepfully you will actually look for the information in the future before you claim that it was hidden. >>“The system of national accounts at the ABS has the complete range of figures. As noted at the link you’ve provided, this data was prepared per the new system, and thus (on brief scan) appears to be of little help in determining what the reported GDP for 2008-09 would have been if prepared under the previous system of accounting. However, I will certainly look into this data in more detail when time permits, to determine if there is anything contained by which to identify the specific quantum of GDP in 2008-09 that is solely attributable to the changed system of accounting. I very strongly doubt that the media would have been looking at an obscure ABS Information Paper on Implementation of new international statistical standards in ABS National and International Accounts at all, much less in October, given their attention would naturally be on the Treasurer’s coming MYEFO release and related speeches/interviews in November. 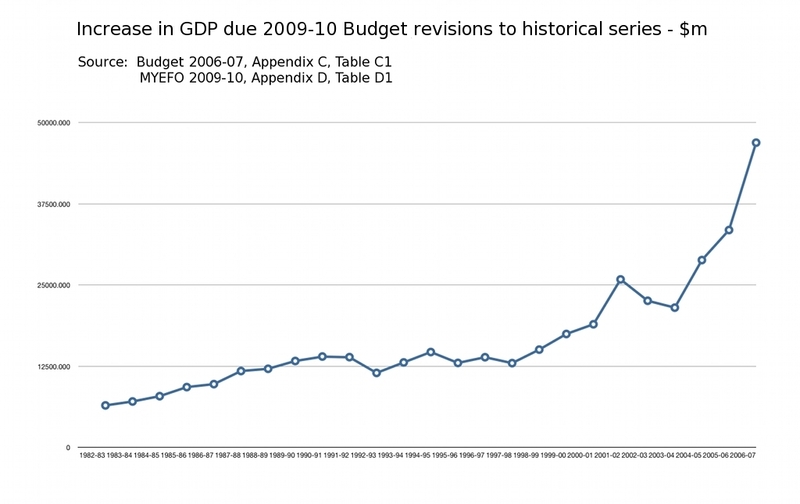 The fact that the sole mention of the changed accounting methods resulting in a “substantial increase” to GDP (but nil quantifying details) and reference to revisions to the historical series, was buried in the MYEFO fine print, further suggests that it is highly unlikely that many if any journalists would notice it at all, much less think there was any obvious or compelling reason to question what might be the actual quantum of the change, and refer back to the ABS archives for more information. Warning: The estimates in this publication are indicative. They are presented to give an indication of the magnitude of the impacts of proposed change to Australia’s macro-economic accounts. All estimates are subject to refinement and revision in the compilation of the annual Australian System of National Accounts to be published on 8 December 2009 and in the quarterly Australian National Accounts to be published on 16 December 2009. Your failure to observe and mention this, along with your continued failure to make any attempt to account for the questionable actions of the Treasurer in his (lack of) clear and upfront communication of the changes in accounting methodology, and especially of the actual quantum of their impact (why reference only the 4.4% adjustment for 2007-08 in his buried press release of 8 December 2009, when the all-important 2008-09 figure was also known by then? ), causes me to question your motivations and sincerity in your comments to this post. So now you’ve had a chance to look through the actual ABS reports, you should pay attention to the published dates. Notably, the 2008/09 system of national accounts was released on the 8th of December, the EXACT date of Wayne Swan’s press release 221 you linked to in your article. Anyway, which is a more likely explanation? That the ABS released the updated anual GDP as scheduled on 8/12/10 and Wayne Swan desperately released a press release to distract from the Wikileaks saga, or Wayne Swan leaked the US diplomatic cables just in time to cover a large and complicated change in statistical standards? Frankly, I want to believe that Wayne Swan is really Julian Assange with a face mask because that would be awesome, but it’s likely not the real answer. Also, what other way of making a meaningful comparison of government finances over time and between countries, if not by comparison to the size of the economy as measured by GDP? For example, New Zealand had about 60Billion NZD in debt at 30/6/11, while Australia had about $85 Billion AUD in net debt then. Just comparing dollar amounts, New Zealand seems to have less of a debt problem than Australia. But if you compare the ratio to GDP, New Zealand ratio to GDP is over 30% compared to 6% in Australia. So how would you avoid this sort of confusion happening? It appears that you have typed this (9:44pm) while not being aware of my own response just posted (9:40pm) to your previous comments. I leave it to you if you wish to respond further. I have no substantive comments to make in response to this, Lachlan. It is my view that the evidence (incl. timing, choice of information included/not included in Treasurer’s press release/s, etc) all speaks for itself, as outlined in the article and earlier articles from 2 years ago. The only additional observation I would make is that the Information paper dated 28 October 2009 that you referred to previously, advises that the Australian System of National Accounts (new system) with final figures would be released a little over a month later, on December 8 – note well that the period where there was a risk of the economic numbers going into “technical recession” was way back in the Dec 2008 – Mar 2009 quarters. The government knew years in advance the dates of the Copenhagen Conference. If we take Lindsay Tanner at his (post-career memoir) word regarding having engaged in “dark arts”, including “switching between methods of accounting” in order “to maximise political appearances”, then IMHO it is entirely plausible that back in the GFC peak period, the government/”Gang of Four” chose to instruct the ABS (the head statistician is a public servant directly answerable to the Treasurer) to ensure that adjustments to GDP under the new system of accounting were sufficient to avoid a second negative quarter of GDP in March 2009, knowing full well they could bury the evidence in fine print, and in happily-timed, vague and misleading press releases. EDIT: I see now that you have graced us with your presence previously, Lachlan. You have form. Unless you are prepared to present careful, thorough (ie, read the papers you link to with care first, before quoting them as supposed support for your position), and substantive arguments against the position and evidences I have put forward, your future comments will be rejected. 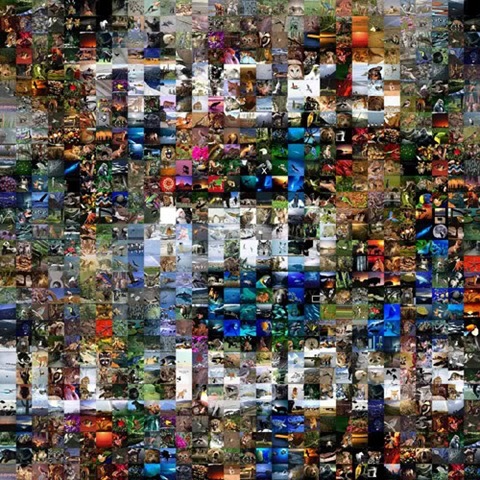 I’m sorry …I do not have time nor inclination for refuting your habit of presenting numerous misdirections and errors, nor for following every link you provide only to discover you haven’t checked it thoroughly yourself, much less bothered yourself to read through and locate specific evidence within the datasets you link to that actually proves my position incorrect. EDIT2: By way of example of your penchant for (careless?) errors that waste others (my) time in addressing, I note in your comments at 9:44pm re ABS updated annual GDP, that you have now given the date as 8/12/10. Wrong. You then immediately go on to discuss “the Wikileaks saga”, “leaked US diplomatic cables”, etc. This actually occurred in February 2010 … well after the early December 2009 COP15 Copenhagen Conference. I can only guess that you are confusing the Wikileaks diplomatic cables release, with the “ClimateGate” release of emails from the CRU/UEA which began in November 2009, prior to the Copenhagen Conference. As per above, Lachlan, you have form here; if you are unwilling to carefully check your facts before posting, I will reject your future comments. The United Nations was formed on 24 Oct 1945 out of fear of the “nuclear fire” that vaporization of Hiroshima on 6 Aug 1945. Fear of man-made “nuclear fire” convinced world leaders and leaders of scientific community to ignore, obscure or avoid revealing any finding that would lead to the discovery of the trigger – neutron repulsion . My research mentor, the late Professor Paul K. Kuroda, was Dr. Kazuo Kuroda of the Imperial University of Japan during WWII. The US military relocated Dr. Kuroda to the United States after WWII. His effort to report in 1956 that a “nuclear fire” had occurred spontaneously on Earth was almost, but not quite successfully, blocked from publication [2-4]. Government deception culminated in Climategate emails and documents that became public in Nov 2009. Moral: Power corrupted, but those who misused power are now living in fear.